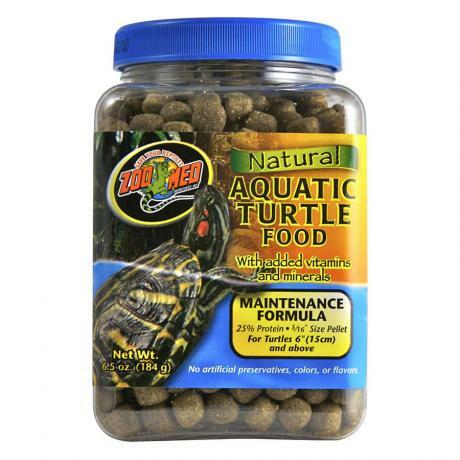 The Zoo Med Turtle Maintenance Formula is a floating pellet packed with vitamins and minerals to keep your pet turtles healthy. 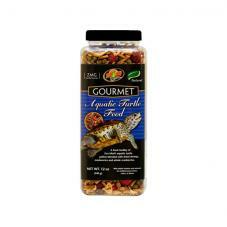 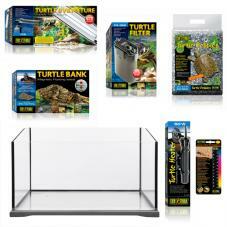 Zoo Med Aquatic Turtle Food has gone "natural" and is now available in three sized containers. 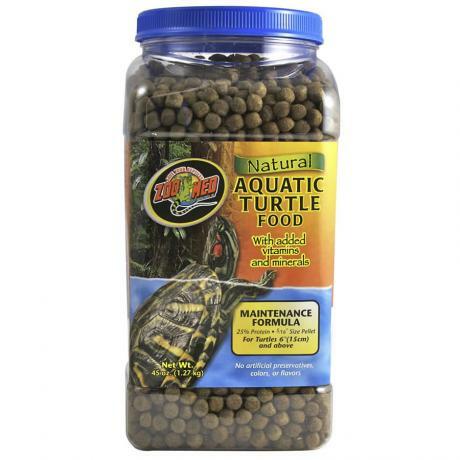 TheMaintenance formula meets the dietary requirements of adult aquatic turtles. 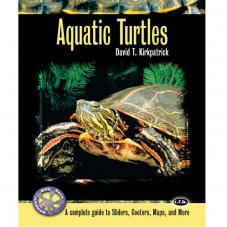 The pellets float making it easier for aquatic turtles to feed as they prefer eating at the water surface. 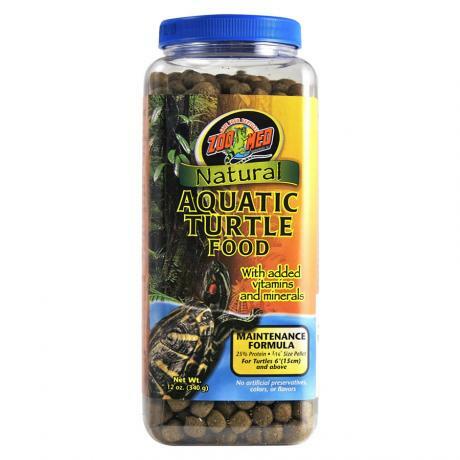 Wheat Middlings, Soybean Meal, Wheat Flour, Fish Meal, Corn Gluten Meal, Spirulina, Fish Oil, Soy Lecithin, Dicalcium Phosphate, L-Ascorbyl-2-Polyphosphate (source of Vitamin C), Choline Chloride, Vitamin E Supplement, Niacin Supplement, Calcium Pantothenate, Riboflavin, Thiamine Mononitrate, Biotin, Pyridoxine Hydrochloride, Folic Acid, Vitamin A Acetate, Vitamin D3 Supplement, Vitamin B12 Supplement, Manganese Sulfate, Zinc Sulfate, Ferrous Sulfate, Copper Sulfate, Sodium Selenite, Potassium Iodate, Propionic Acid (a natural preservative).